On 15th December, 1879, the home was accredited as a Certified School, allowing it to receive girls boarded out by the workhouse authorities. In 1881, the home became a mixed establishment and was re-certified on 7th November of that year. By 1912, however, it had reverted to being girls-only. The home closed in 1969. The building no longer survives. 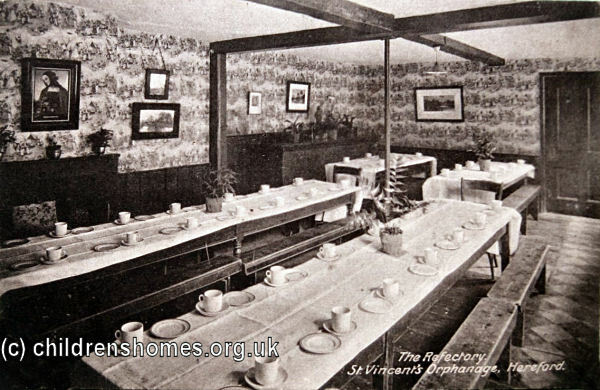 Daughters Of Charity Of St Vincent De Paul, Provincial House, The Ridgeway, Mill Hill, London NW7 1RE. (Archivist: Sister Bernadette Ryder DC) Has Admission registers (1892-1967); Birth and baptismal certificates.